On the doorstep of South Melbourne Market and inside a converted warehouse, South Hive is inspired by the nature of honey bees. Inside a beehive there’s a system of self-organisation among residents, but without its fellow bees, the individual is largely ineffective. 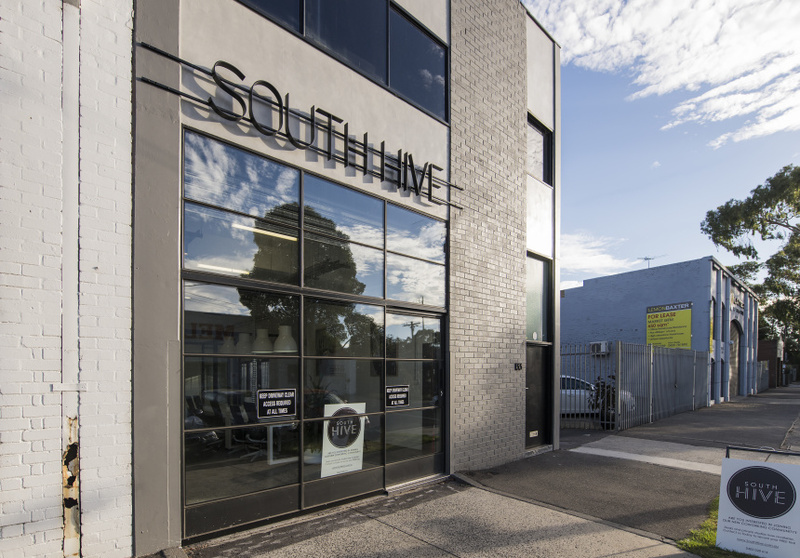 Likewise the tenants at South Hive, a new co-working space in South Melbourne, operate individual businesses, but the co-operation of the collective helps them to grow. 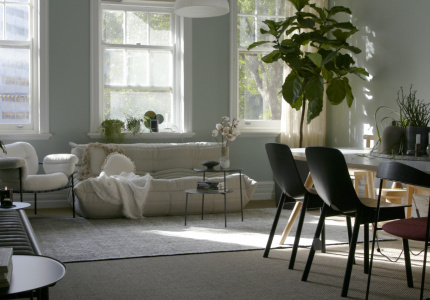 “We wanted a place where people felt energised and happy and healthy, and ultimately productive,” says Jen Breadmore, South Hive’s co-founder. The co-working space, which opened in March, is aimed at small-to-medium-sized businesses looking for a flexible office solution, without the commitment and costs of a long-term lease. “They just want to be able to move in and grow in the space as their business grows,” Breadmore says. Bees work together in an exquisite interlocking honeycomb structure they themselves build, and while the only hexagonal forms at South Hive are plant wall-mounts, the design is just as meticulous. “We maximise natural light and we try to use as many raw timber elements as we [can], so people feel connected in some way to nature while they’re at work,” says Breadmore, who designed the space with her husband Alex. Timber panelling, contemporary lighting and ergonomic – but stylish – office furniture contributes to a crisp yet welcoming environment over two floors. There are elements of the industrial (polished concrete floors, exposed fixtures) but this is far from a sterile corporate office. Natural light pours in, and there are indoor plants throughout the space. “We made sure all of our windows [were] able to be opened [too], to allow fresh air in,” Breadmore says. Black-and-white photos of palm trees, vintage cars and natural landscapes line the walls. 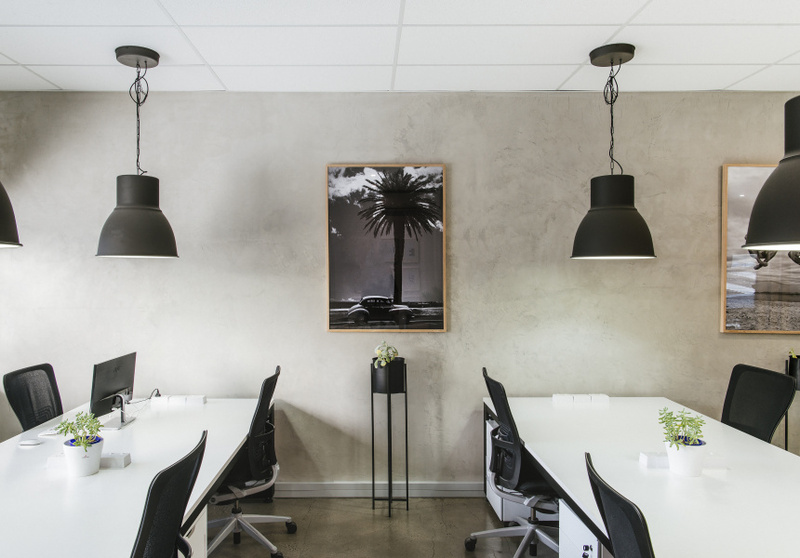 The minimalist space also provides all the essential office offerings including a boardroom, meeting room, private phone-call room, kitchens on both levels (with barista-style coffee machines) and shower facilities. Jen and Alex also enjoy the benefits of the dog-friendly office with their pup Bentley, a five-year-old labrador that joins them twice a week. 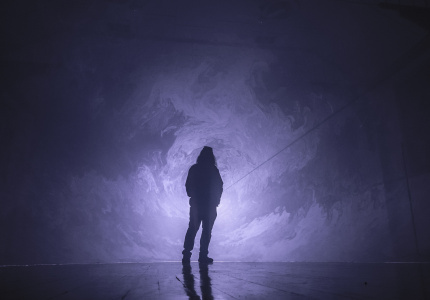 “We realise we don’t provide all the fluff in terms of yoga at lunchtime, spin classes or extras … we really wanted to make sure that we were a more affordable offering to larger groups,” Breadmore says. 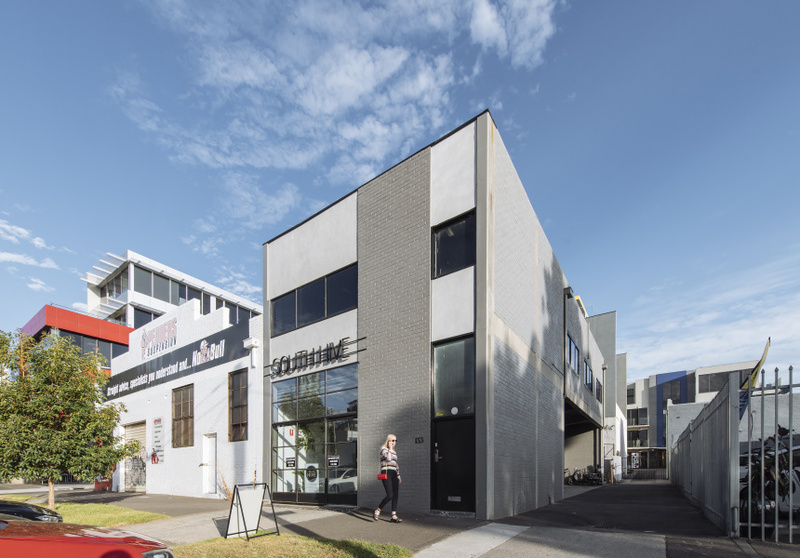 South Hive has taken up residence in a renovated two-storey warehouse, steps from South Melbourne Market. The co-working space also grants 24/7 keypass access to its members, Breadmore says.